Typically, additions to this page are focused on a singular event that happens around the Fire House. June 2014 was an exception to this rule. June’s prelude came many months earlier, when word quietly spread around our community that one, considered our own, was diagnosed with ALS. Fire Company members, as well as many in this community we proudly serve, stood up and asked, “What Can We Do?” During the following months, as more information became available, thru meetings and fellowship, plans were made. 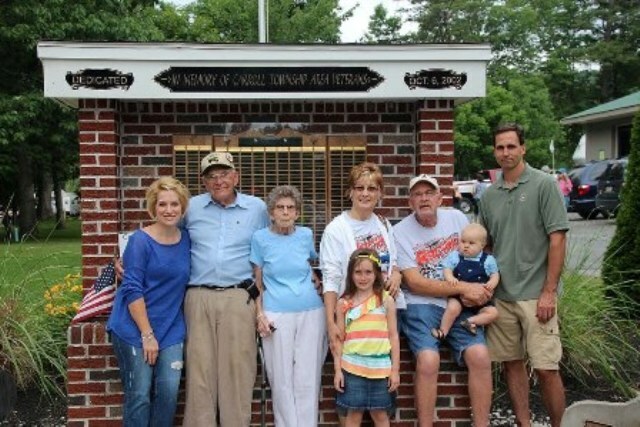 Denny along with many of the Lupfer family have always been strong supporters of both our community and the Fire Company. Many of us around the community have known them our whole lives. Denny has served our community throughout much of his life, from community events at Lupfer’s Grove to having him as our baseball coach when we were younger. The Lupfer family has always taken pride in busing the children of yesterday as well as those of today safely back and forth to school with no incident. 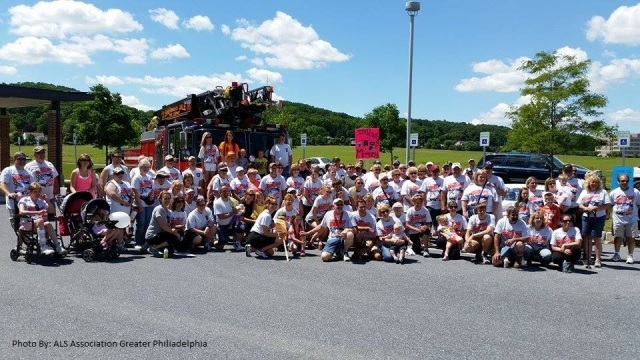 On the morning of June 7th, many members from our community met at our Fire House to board buses, or drove to Hershey for the Walk to Defeat ALS. When we arrived in Hershey, we became part of Team Racers; 138 members strong, backed by sponsors and supporters. As the day progressed, the teams bonded and mingled creating lasting friendships. We found ourselves members of an even larger community of thousands who had come together to Walk Because They Can and support the research needed to fight ALS. Denny and Team Racers took home many awards that day an accomplishment for which our community should be very proud. The following day, June 8th was the Annual Appreciation Banquet. On this day we came together to honor many people in our community as well as all the committed members of our fire service who are making a difference. There was a glowing pride in the previous day’s achievements as well as many of the achievements of the previous year. Over the next few weeks, the normal Fire House business continued. Calls, committee meetings and training were conducted as usual. On top of those duties, the members and volunteers also prepared for the annual Auto Meet. 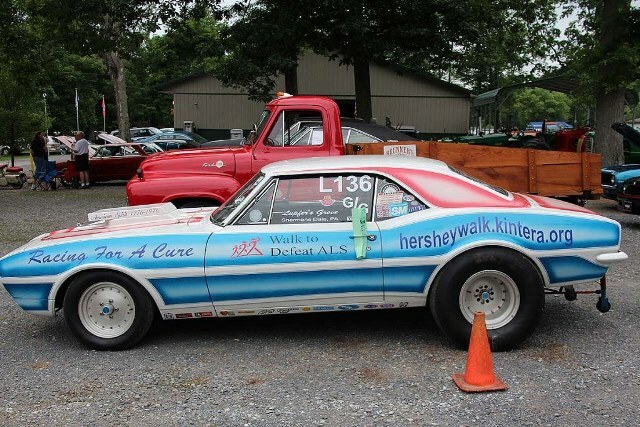 It had been decided many months earlier by unanimous vote that this year’s profits from the Auto Meet would be given toward ALS Research in honor of Denny who was instrumental in starting this event many years prior as president of the Perry County Automobile Association. On June 29th, the 10th Annual Perry County Auto Meet was held at Lupfer’s Grove. Over 200 vehicles were present this year. Spectators and vehicle owners mingled all day. Folks enjoyed a relaxed atmosphere while browsing through the various vehicles in attendance. 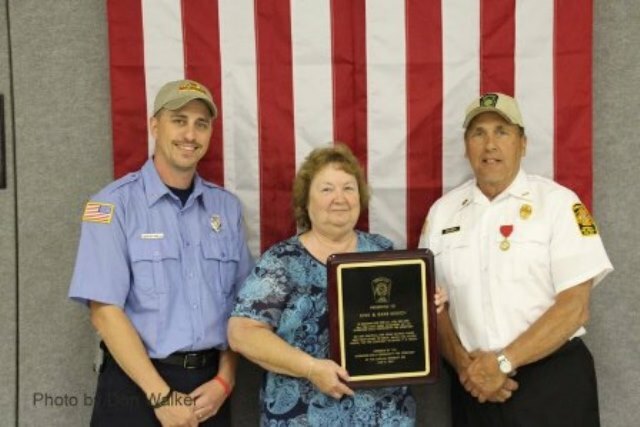 During the event, Denny and his family were honored for all they have done for our community. We also raised more money to aid in ALS Research. During the month of June 2014, we as a community brought ALS research into the spotlight, both in awareness and donations. Above that, we showed the love, respect, and strength we have as a community. It is that strength that fuels us to do what is needed when the time arises. In today’s busy world, where we sometimes forget or take for granted the things that matter most, what transpired in June 2014 was inspirational and will be remembered by many of us for years to come. June 2014 was quite a month. 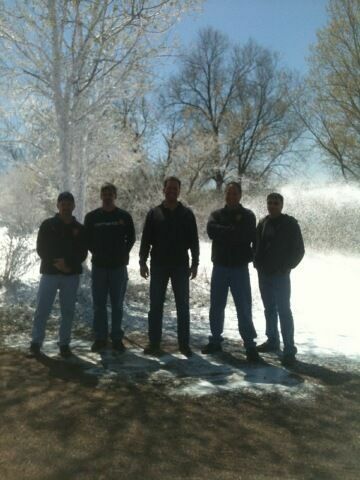 March 8th at the Fire House a class was held entitled LEPC Fire Safety & Flawed Situational Awareness. The Course was instructed by Richard Gasaway. Lunch was provided by VFIS . It was attended by representatives from Fire Departments across multiple Counties. The morning portion of the class covered many of the common mistakes made by Company’s and crews that lead to Firefighter Fatality’s and Near Miss Situations. It also went over some of the simple fixes that can be applied to lessen the chances of these situations occurring. The afternoon session was filled with practical exercises that were both engaging and enlightening. Additional online resources that were brought to our attention were. SITUATIONAL AWARENESS MATTERS; FIRE FIGHTER FATALITY INVESTIGATION AND PREVENTION PROGRAM ; and the NEAR MISS REPORTING SYSTEM . 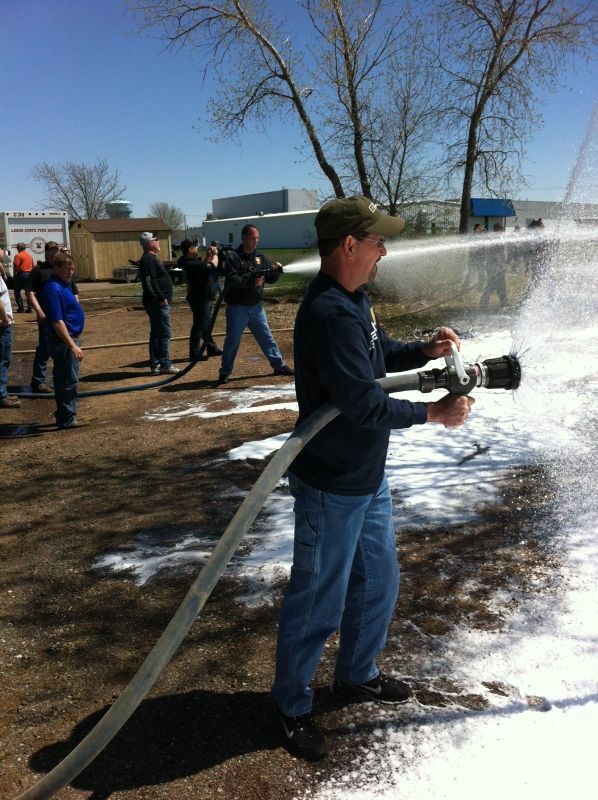 3 members of the company traveled to Wisconsin to attend foam training & pump training at Darley. 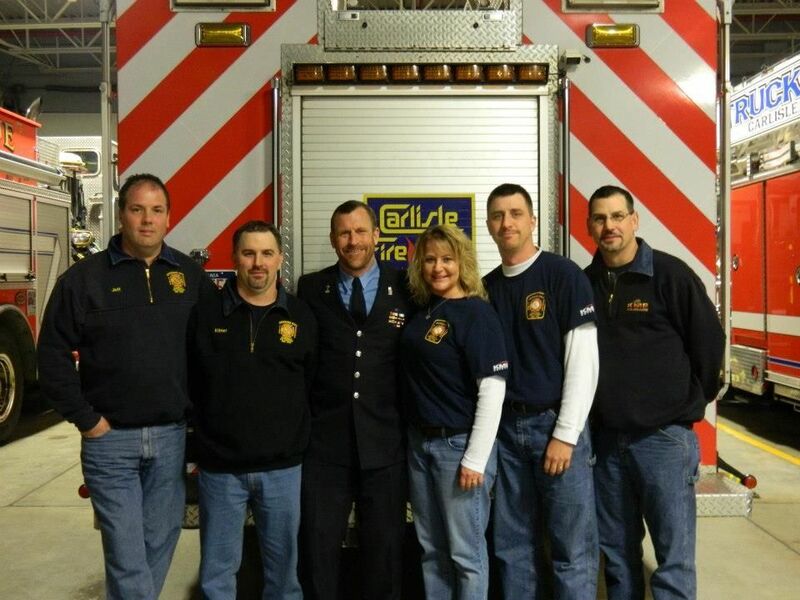 The crew with a FDNY 9/11 Surivor. Guest speaker @ Co. 45 banquet. A gift from Iraq. This flag and plaque was sent back to us and is now proudly on display in our Firehouse. 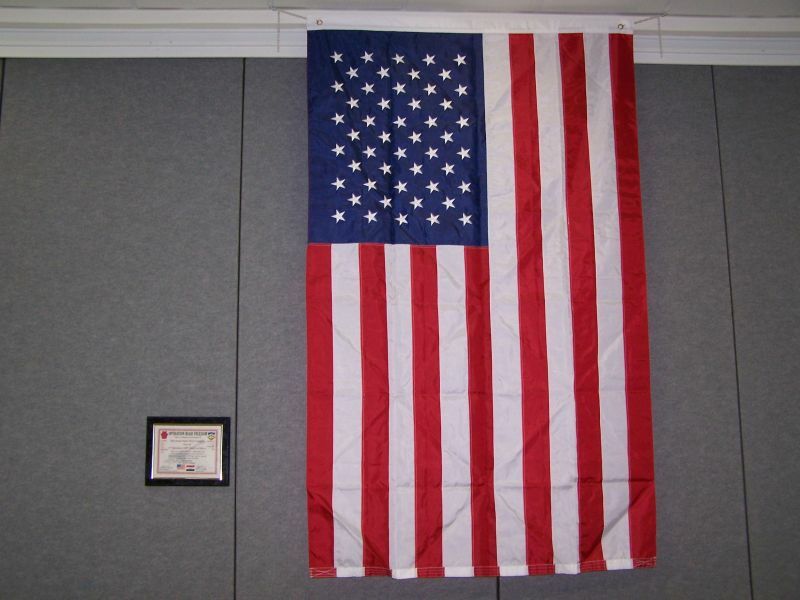 As the plaque reads this flag was flown over Task Force Joshua Headquarters, COB Taji, Iraq. 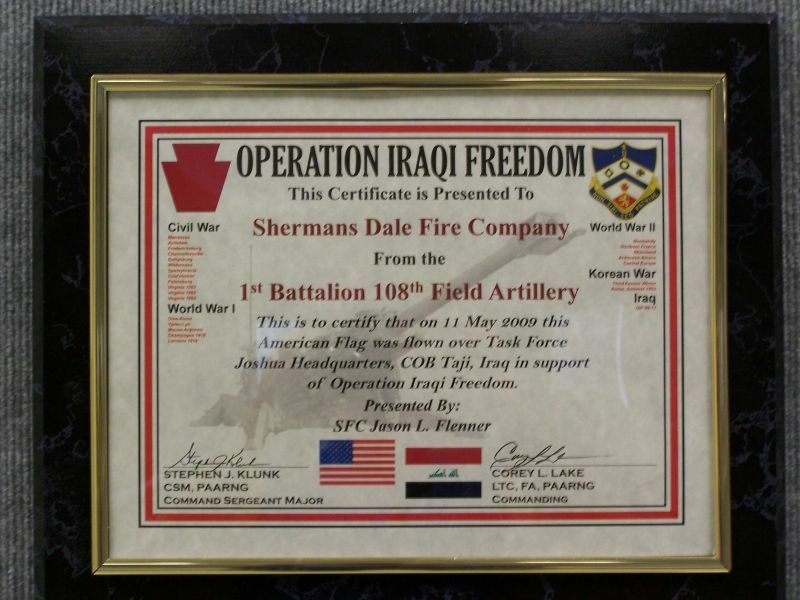 This flag and plaque was presented to the fire company by SFC Jason Flenner. One of our own has been serving our Country to the highest in the War on Terror. 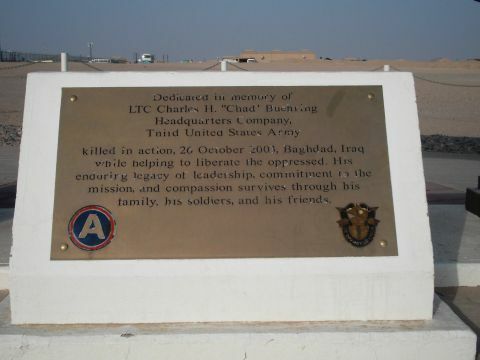 SFC Jason “STORK” Flenner has been serving in Iraq. 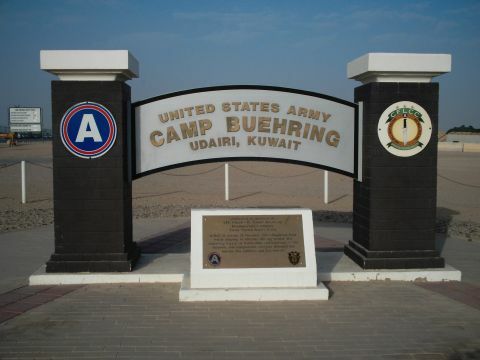 His home base is located 20 miles northwest of Baghdad in Taji. He has sent us some pictures of the countryside and also of his home base Contingency Operating Base (COB). It really makes us think that we are so fortunate to be living here in this beautiful country that they call America. He has stated that the country is trashy and dirty. It is not safe to drink any water unless it is bottled. He said the weather is very hot with temperature’s running over 100 degrees with sandstorms. Jason should be leaving Iraq by September. Our prayers and thoughts our with Jason and the rest of the soldiers that are serving this country proudly.